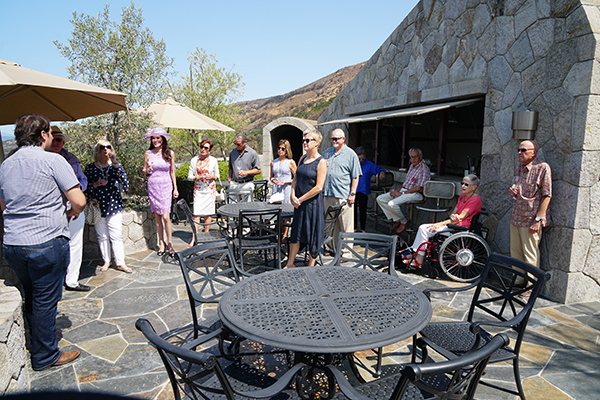 On August 11th, the Branch held a reception, tour and lunch at Palmaz Winery at the base of Mount George in Napa Valley. CEO Christian Palmaz led a tour of the winery whose farming operations cover much of the 600-acre estate; one of the most technologically advanced wineries worldwide. 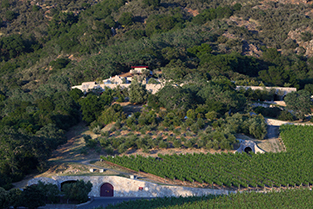 The marriage of IT and Oenology have enabled Palmaz to create sophisticated and high-quality wines. 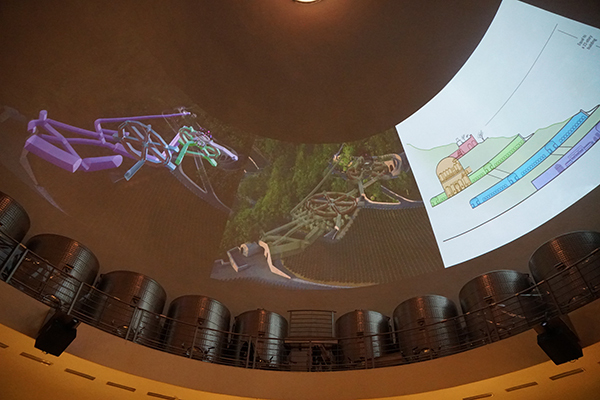 After the tasting, the group was led into the winery which essentially is a multi-story facility inside the mountain. A sophisticated process merging ancient practices such as gravity flow with automatic sorting and electronic management of batch and wine-making techniques puts Palmaz at the forefront of intelligent winemaking. 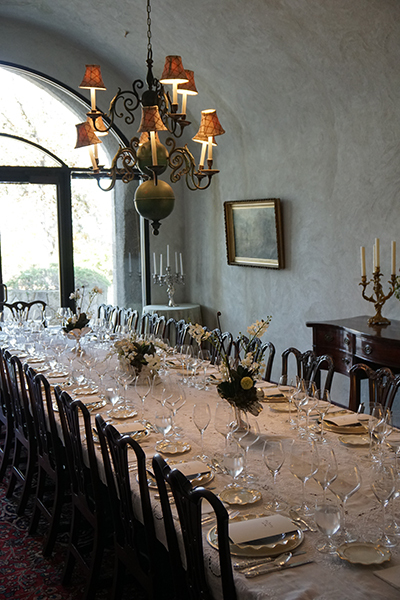 A delicious lunch with Christian joined by wife Jessica Louise featured some of Palmaz’s most exclusive wines. The finale was a treat as Palmaz’s Porsche factory racecar collection was opened for viewing.